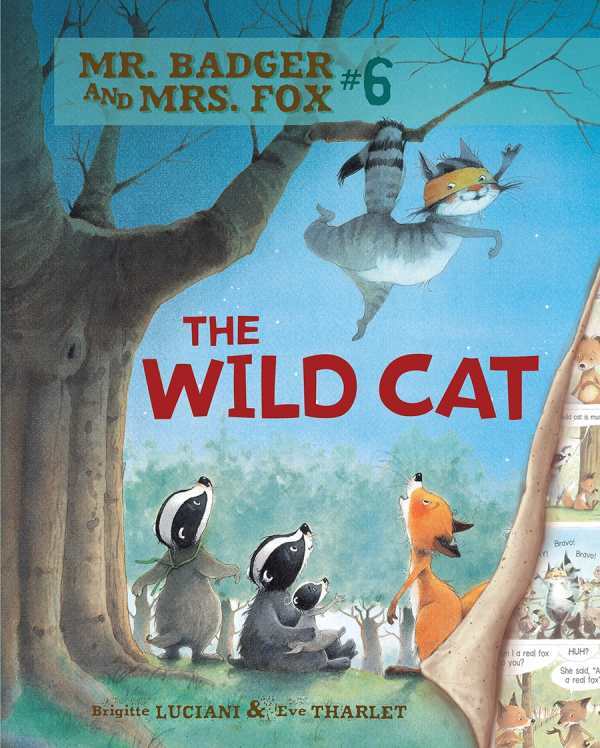 The fun and lovable Badgers and Foxes are back in The Wild Cat, volume six of the Mr. Badger and Mrs. Fox series that features an entertaining assortment of lively forest critters. Taking center stage is Ginger, a young fox with some important discoveries to make. In this uniquely formatted tale with colorful graphic panels and word bubbles, Ginger’s adventures take her far from the safety of the burrow, and she learns some valuable lessons about who she is.